I am the father of Ammar Souf, who is in the Megiddo prison in Israel. He is 16 years old and was arrested on 17/3/2013 at 4 in the morning. They [the army] entered the house without our permission while we were sleeping, frightening our kids. They used force and extreme violence when they arrested my son. They beat him in front of younger siblings, did not allow him to wear his clothes, despite the cold. The army blindfolded his eyes and bound his hands behind his back. They searched the house. After arriving at the prison they put him in a narrow and dark cell for 22 days, did not allow the lawyer to visit him, and subjected him to torture, violence and obscene insults. They threatened to force him to confess to charges which he is innocent of them. He does not know where they [the charges] came from. 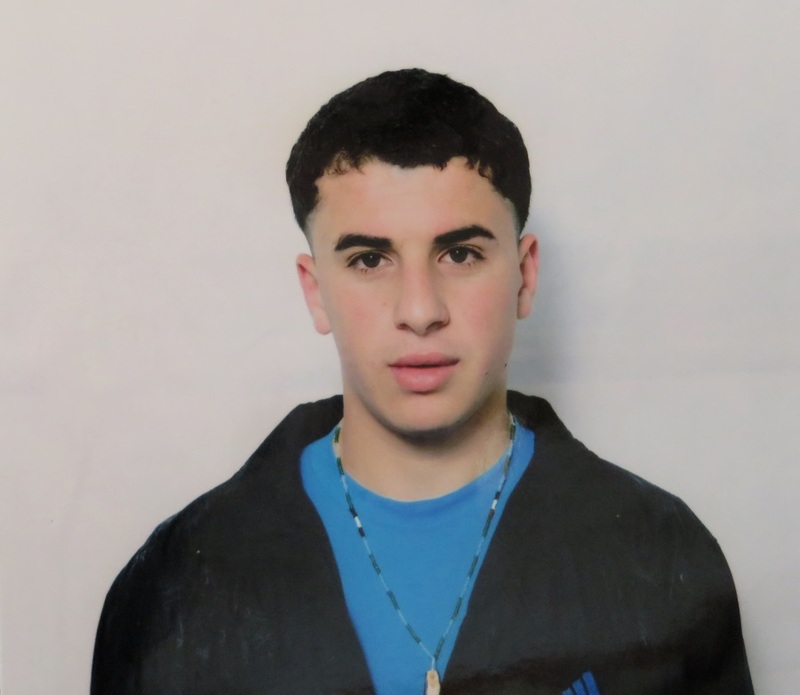 Then they charged him and his friends with 20 charges of attempted murder, and causing an accident between the car driven by a settler and an Israeli truck through stone-throwing. Note that the cause of the accident is excessive speed and the inability to control the car, (which was driven by the settler) when the driver stopped the truck in front of the car because of the explosion of the tire of the truck. The truck driver said [this] in the beginning, but quickly he changed his words and said he was pelted with stones. Six months have passed on the case, but he [Ammar] has not been sentenced yet. The case is always postponed due to the unreliability of the charges and the lack of sufficient evidence against him or his friends, his co-defendants in the same case. They allowed his parents to visit him in the length of this period only once, although younger siblings who are under 15 years of age can visit once a month (and you can imagine kids visiting kids). The danger does not lie only in taking his confession and the confessions of his friends by force, but the real danger lies in the charge of attempted murder even though no one died. So we appeal to all the free people in the world and everyone who loves peace to support us until that our children gain their freedom and be released. Thanks for all you’re doing for the freedom of our children.